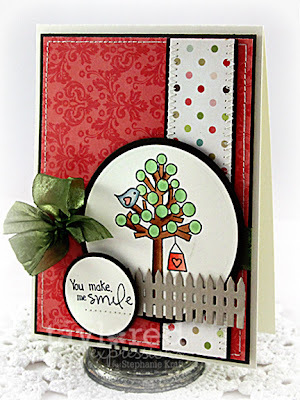 If you are looking for my Sparkle Creations Challenge post, please scroll down.. Thanks! Hello! Happy Tuesday! 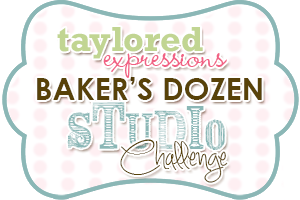 Taylored Expressions is introducting a new monthly challenge for the design team: The Baker's Dozen Studio Challenge. This will be an opportunity for us to share what makes our stamping studios hum. Each month we will have a fun, crafty question so we can share our favorites, some tips and tricks, stamping advice and more. You are stranded on a desert island. The good news is that you find a fabulous stamping hut that is well-stocked with papers, inks and other stamping supplies; however, you only have the 5 stamp sets you brought with you in the luggage you managed to salvage. So tell us, what stamp sets did you bring and why? Choosing just 5 TE stamp sets was very, very tough! In the end, I chose ones that I think of as timeless and classic. These sets will allow me to scrapbook and make cards all year-round! My choices are (in no particular order): Love Grows Here, Discover Your Wings, Friendship Blooms, Sweet Celebration and You're My Type - Lower & #. Although I seem to make more cards now than anything else, my true passion lies in scrapbooking. I just love it when I can incorporate TE stamps to help tell my story. I used Love Grows Here and You're My Type - Lower & # to create a layout showing Sabrina and her cousins from our recent trip to MN. They each have a special relationship with her, and because we live so far away from them, she only gets to see them once or twice a year. For sketch inspiration, I used the latest sketch at Write. Click. Scrapbook. Please make sure to visit the rest of the Baker's Dozen to see how they answered the question and to see what each of them cooked up! Accessories: Tall & Skinny Alpha Dies, Fly Your Flag 2 Die, (Taylored Expressions); Markers (Copic), Pink Burlap Twine (May Arts), Tiny Twinkles, Heart crystal (Prima), Foam tape, Thread, Sewing machine. What a darling page Stephanie! I love all the sweet photos and the little banner! Your two cards are adorable as well! Love the little blooms! On of my favorite sets too! 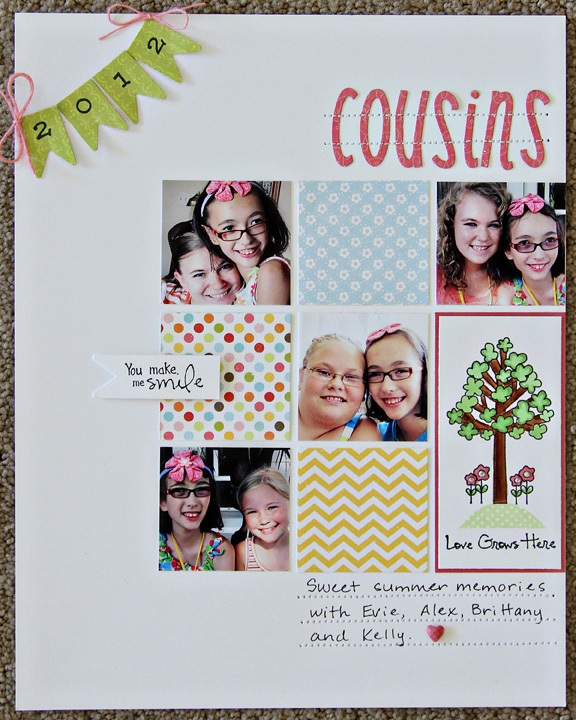 It is perfect on your scrapbook page. Your layout is so fantastic Stephanie and I love the sets you chose! 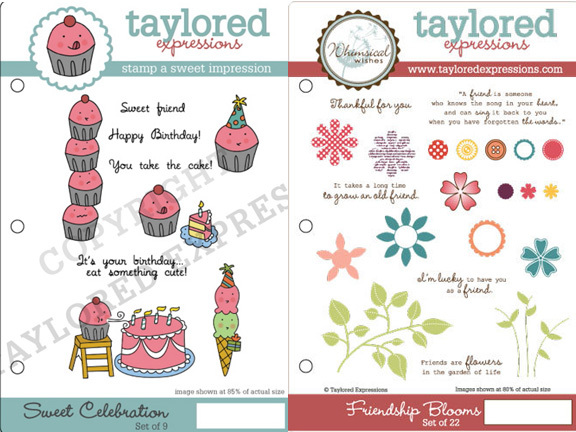 I just love that Friendship Blooms card! It's stunning!! Oh I love this page! What a treasure! What an adorable page, Stephanie! I LOVE your set choices too! Hi Stephanie! That is the cutest scrapbook page ever! SO fun and pretty. Loved looking at the sets you chose and your past projects too. Can't wait for next month's challenge. Have a wonderful day.